Carob is most known for being the vegan alternative to chocolate. It is a dark brown fruit akin to a pea pod that grows on carob trees. It has been used for health and medicinal purposes as far back as 4,000 years ago, HealthLine.com said. In the early 19th century, carob was popular among singers, who chewed the pods to soothe their throat and keep their vocal cords in top shape. These days, the food is popular among vegans and healthy eaters, who are looking to satisfy sugar cravings in a healthy way. It can be bought as powder, chips, syrup, extract, and even dietary pills. It can also be eaten dried or fresh. Carob originated from Greece, but is now grown all over the world, particularly in India and Australia. 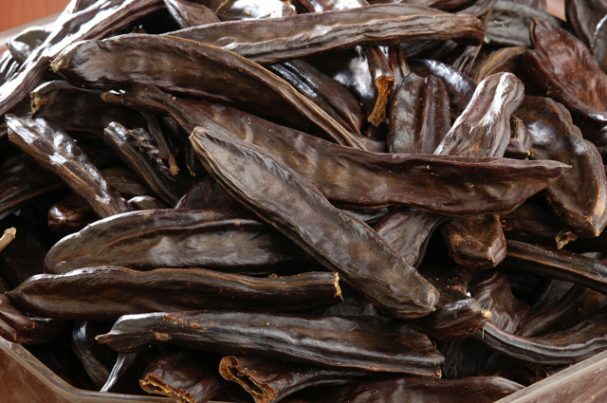 Carob has been widely-used in traditional medicine. It is a known remedy for diarrhea, and when taken along with oral rehydration solution, can alleviate symptoms of the condition, according to MedicalHealthGuide.com. It also contains a significant amount of fiber, maintaining a healthy balance between HDL and LDL cholesterol levels thereby boosting heart health. Carob is a favored weight loss food, as it can stimulate metabolism and improve digestion. It can also help manage type-2 diabetes by regulating insulin levels. As a rich source of antioxidants, carob prevents free radical damage, and is being considered a treatment for certain cancers, including cervical and lung cancer. It promotes bone health can can prevent painful conditions such as osteoclasis and osteoporosis, owing to its high phosphorous and calcium content. Carob powder has also been known to treat wounds and skin disorders, due to its anti-fungal and antibacterial properties. Because it comes in many forms, carob can be used in a variety of ways. Its sweet flavor makes it an ideal chocolate substitute. Carob powder can be used to make a hot chocolate-like drink. Other recipes on AllRecipes.com show how it can be used in baked goods for healthy versions of popular desserts such as pudding, ice cream, cookies, brownies, and cakes. Carob chips can also be added to trail mix for a healthy snack. Don’t eat it if you cannot stop. Eat Carob instead! Carob can treat diarrhea and improve digestion. It promotes weight loss by boosting metabolism. It can also be helpful in diabetes management. Rich in antioxidants, carob can help prevent cancer. Carob supports the cardiovascular system by regulating cholesterol levels. Carob prevents bone diseases such as osteoclasis and osteoporosis. It has anti-fungal and antibacterial properties that help in treating wounds.